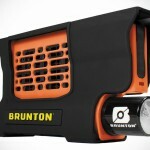 the worst fear of any outdoor-loving geeks is running of power while out in the great outdoors, well, but that fear is non-existence if you have a PowerPot X 10-Watt Portable Generator with you. 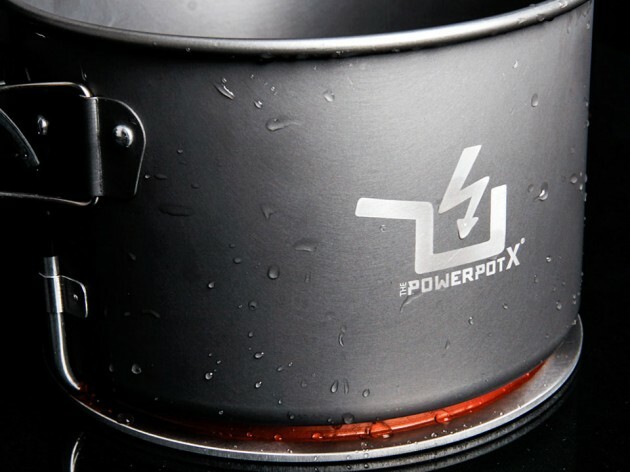 from its name, you already know it is a pot, but you probably don’t know that it is a pot which you can use to whip up a meal for two person and more, while generating up to 10 watts of power to feed your power-hungry gadgets. 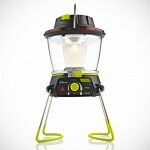 the PowerPot X is the new, big brother of the original PowerPot introduced last year (and one awesome product that we have listed in our Christmas Gift Ideas 2013) and with the new model, comes a new power promise. 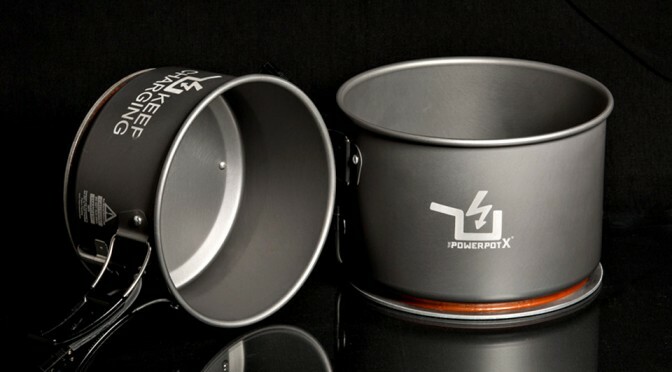 not only does the PowerPot X has more power to go around, it is now available in two pot sizes: a couple pot with 2.3-liter capacity for two, and a 3.8-liter group pot perfect for larger groups. with up to 10 watts of power on the tap, the PowerPot X portable generator is capable of charging one tablet, or two smartphones simultaneously, or four GoPro Cameras at the same time. feeding hungry folks and fueling gadgets aside, there is another notable feature: the incorporation of a built-in power meter into the power regulator that lets you in on how much power your devices are getting, so you will have an idea of the charge time and also know when to optimize your cooking setup to achieve maximum power output. the regulator also features dual USB ports for charging two devices at once. pot-wise, it is made of hard anodized aluminum, while the thermoelectric modules are encased in a high-temp, weatherproof silicone with an aluminum bottom. the pot also features a set of handy folding handles and the cable leading out to the regulator is, of course, flame resistance. 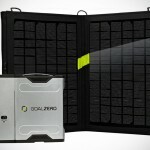 the PowerPot X 10-Watt Portable Generator is again seeking validation from the community through Kickstarter that started earlier today. you can secure yourself one by backing up the campaign with $189 of your money for the 2.3-liter pot and $199 for the 3.8-liter pot. learn more about the PowerPot X in the pitch video below and when you are ready, hit up the project’s Kickstarter page to pre-order one.